Querry No. 1: If importing country do not required implementation of DGFT norms. What to do? As per our understanding, we adhere existing system and not necessary to comply DFGT requirement. 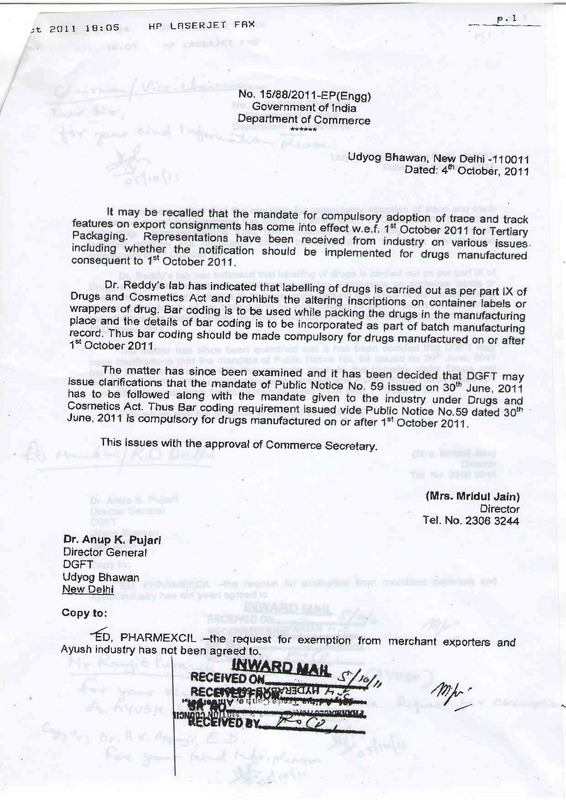 Only SSCC barcode shall be given as per manufactures GS1 Company prefix. Ans by GS1India: In case importing country has regulation/requirement on barcoding then only you don’t require to comply with DGFT notification and for that also you need to get approval from DGFT after showing all the required endorsements from importing country. Rest in all other case you shall be required to comply with DGFT requirements. Querry No. 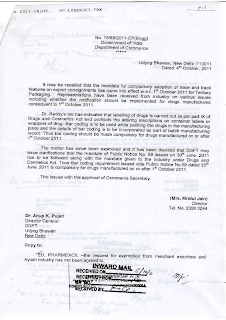 2: In case, if importing country having their own EAN code on secondary pack, same can be converted into GTIN? As per our understanding, it can be converted into GTIN. But, if we get endorsement copy from customer, there is no need to create GTIN barcode. Only, SSCC code to be a part of shipper label as per manufactures GS1 Company prefix. Ans by GS1India: EAN product code is also a GTIN. If you are already using EAN/GTIN at secondary pack as per the requirement of importing country then you would require to only provide information on tertiary/shipper/logistic pack in line with the requirement stipulated by DGFT. Querry No. 3: Can we convert importing country MA (Marketing Authorization) number allocated by respective country regulatory agency into GTIN?. As per our understanding, we should be adhering to existing system and not necessarily to comply DFGT requirement. Only SSCC barcode label to be generated. Ans by GS1India: This point is answered above in point no 1 & 2 . Querry No. 4: In case of SSCC code company prefix should be of manufacturer or Brand owner (Importing country)?. As per our understanding, always prefer to have manufacturer company prefix to create SSCC code. Ans by GS1India: It is always recommended to use company prefix of brand owner as it is his responsibility for that particular brand . Having said that it is the mutual agreement between trading partners ( manufacturer & brand owner) whosoever wishes to use his company prefix .